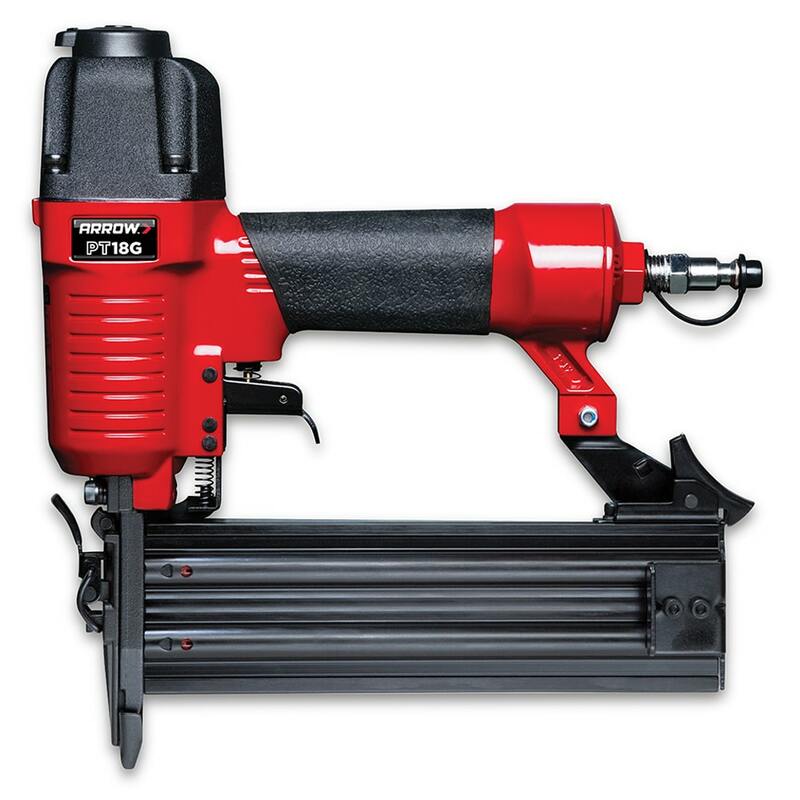 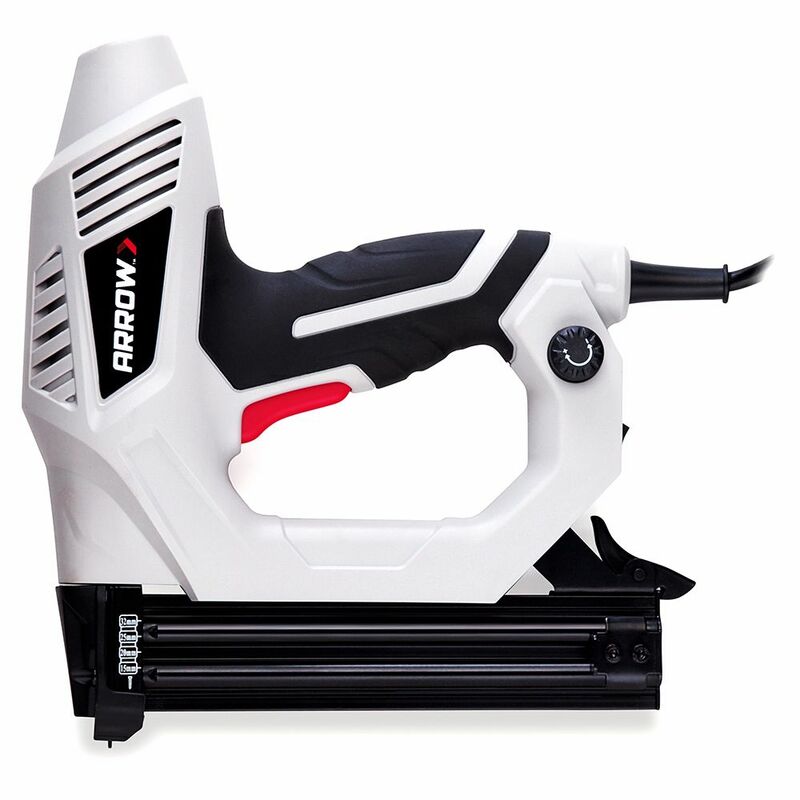 The Arrow PT15G delivers serious pneumatic tool performance at a price everyone will love. 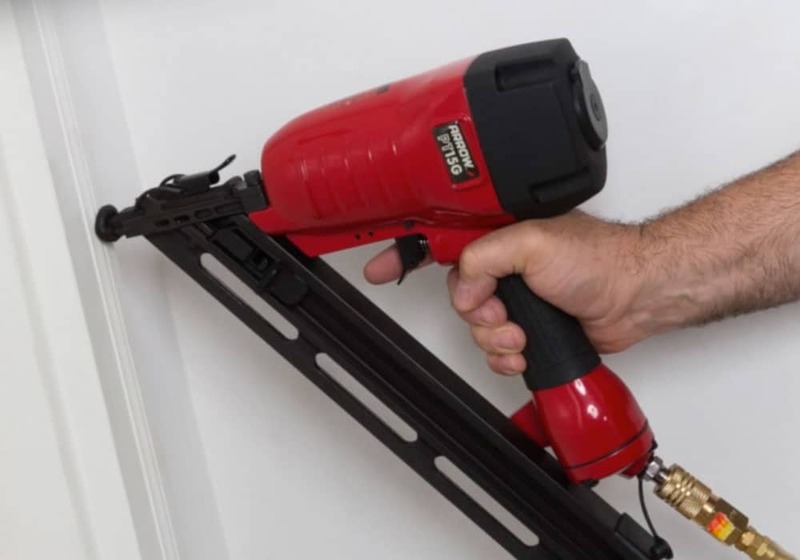 It features a 34-degree magazine for hard-to-reach corners and tight spaces, making it perfect for trim work, moldings, baseboards, and crown molding. 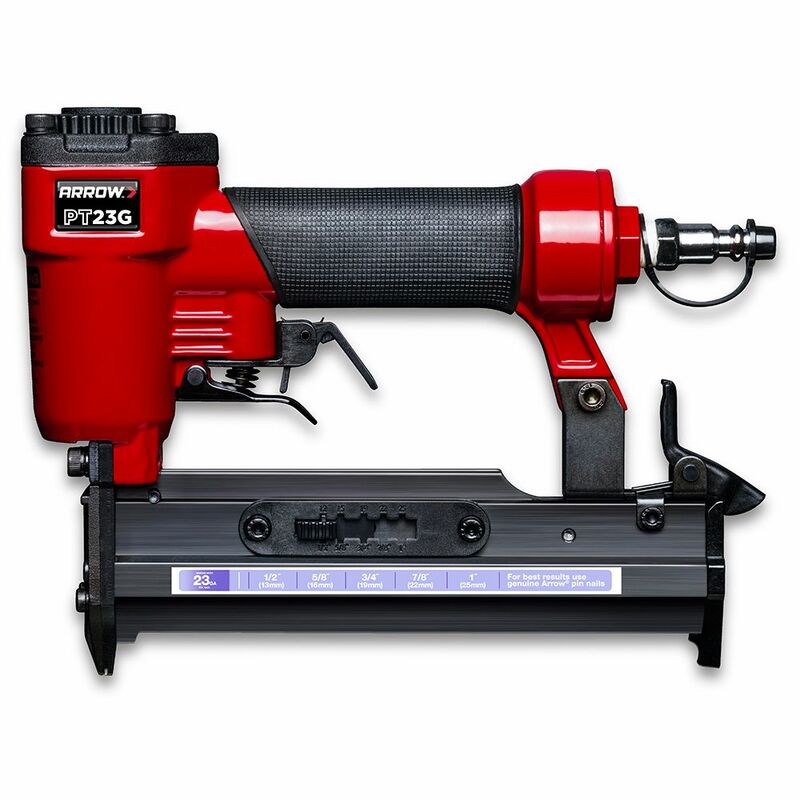 The tool features tool-less jam clearing, a rubber non-marring working tip, an overmolded grip, and a contact safety. 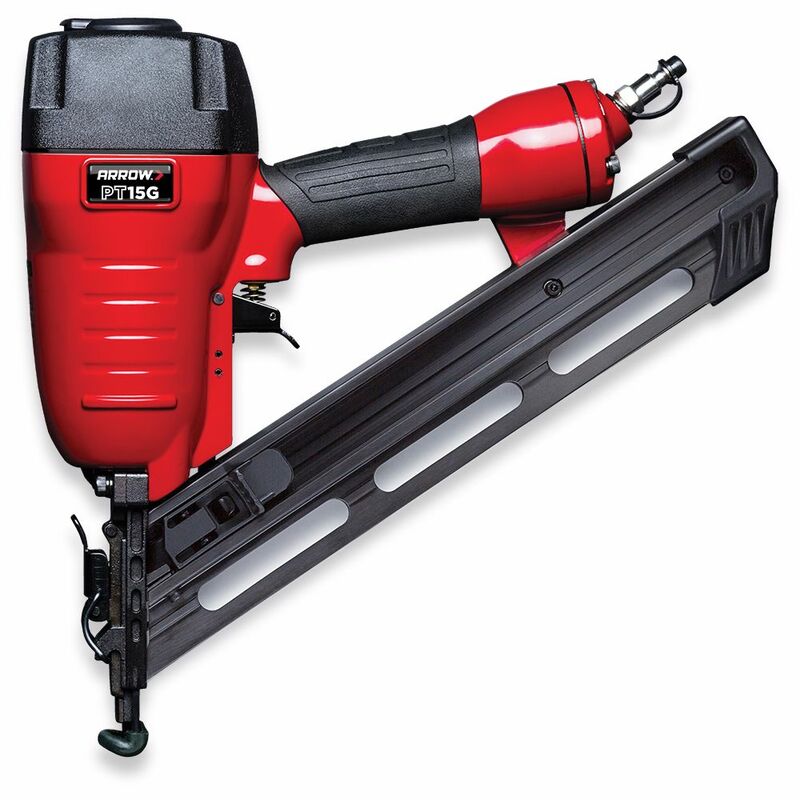 PT15G comes with all necessary fittings and operates on home compressors up to 120psi.